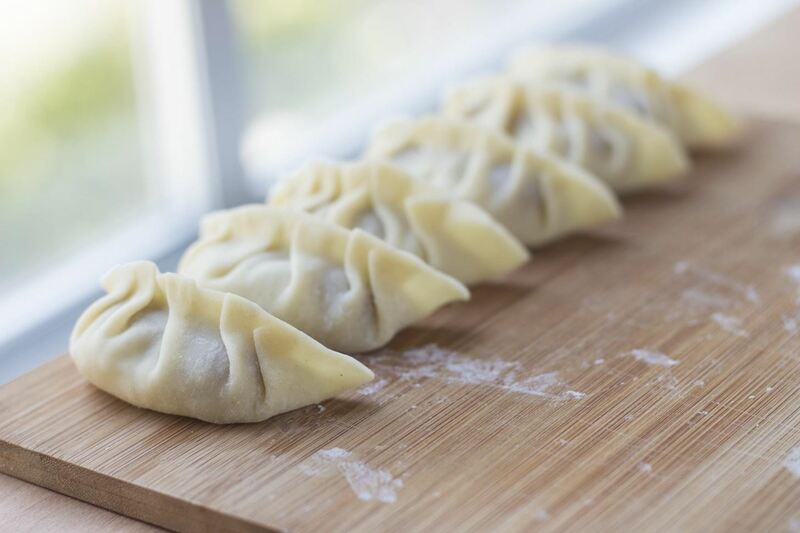 Dumplings have been around for centuries in various forms; spätzle, as well as chicken and dumplings, are dough-y dumplings with no filling, whereas Russian pierogis and Chinese jiaozi are dumplings that contain meat, vegetables, or both. 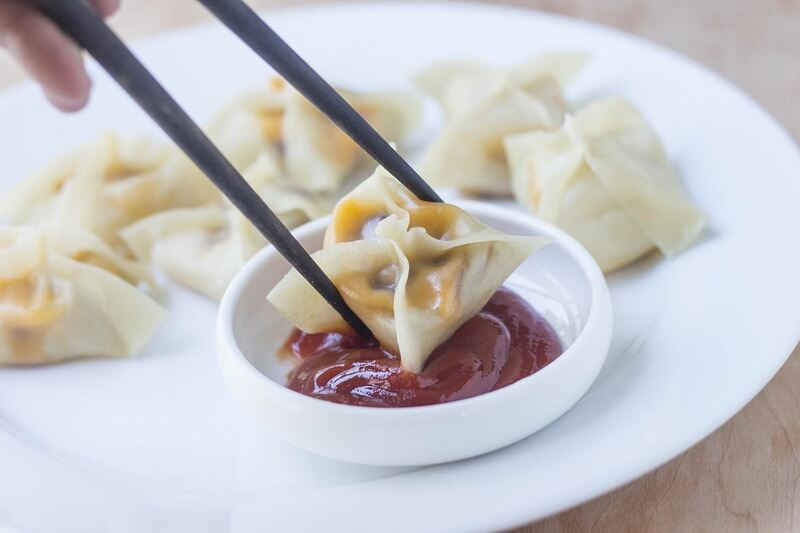 Asian dumplings, also called pot stickers, have always been popular in countries like China, Japan, and Korea. Nowadays, however, they are gaining rapid popularity in the Western world. The evidence rests in restaurants like T.G.I. Friday's featuring "pan-seared pot stickers with Szechwan sauce"; dumplings are becoming a part of our culinary landscape. 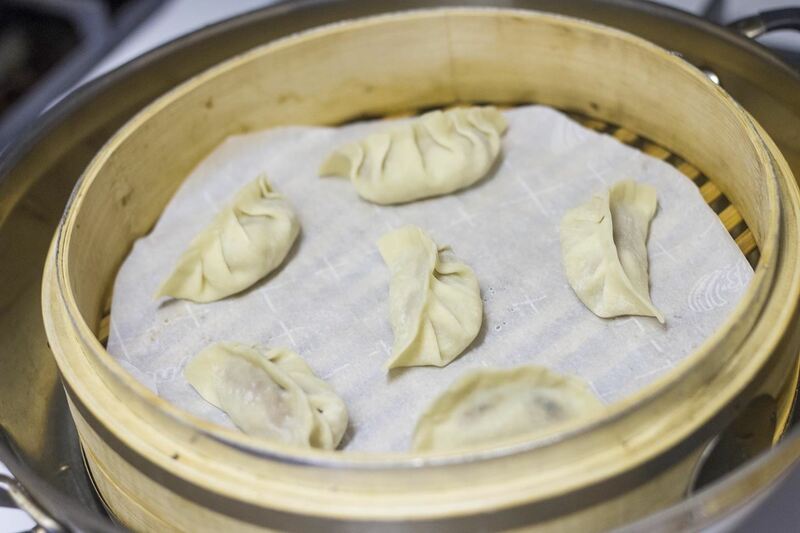 Inevitably, creative culinary minds experiment with the established recipes to create new ones and fusion foods are born... or at least, that's how I'd like to frame my reasons for creating these dumplings. Honestly, I was curious—dumplings are delicious, but I wanted to test their versatility. 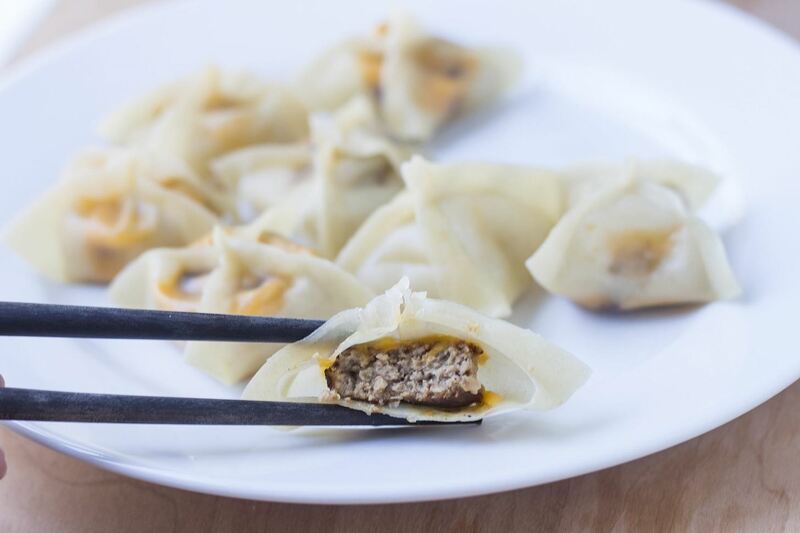 Cheeseburger dumplings have been touted by other blogs before, but with uncooked meat and the cheese mixed into the filling. I decided to make a version with seared patties and cheese on top for a more interesting, unique texture. Mix the ground meat with the seasonings (paprika, garlic powder, onion powder, salt). 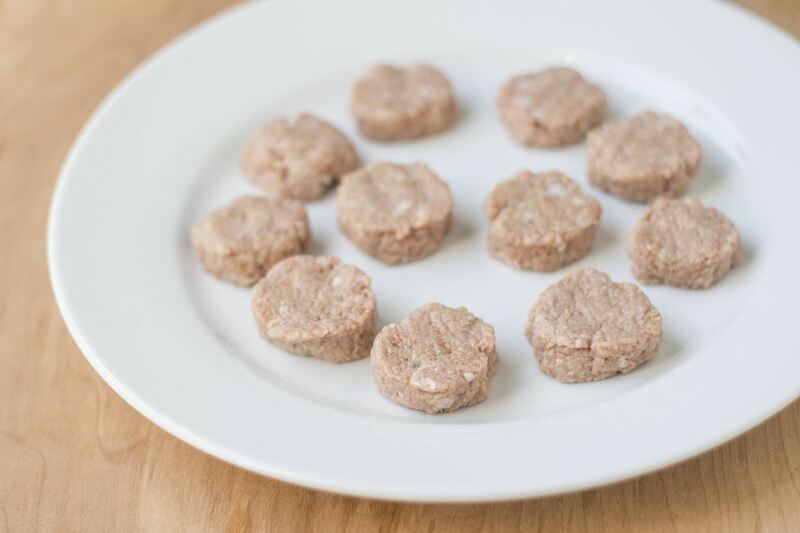 Form the ground meat into 1-inch diameter patties—they should be ¼-inch thick. Add a small amount of oil to a nonstick frying pan on medium high heat. Add the patties and sear for less than a minute on each side. 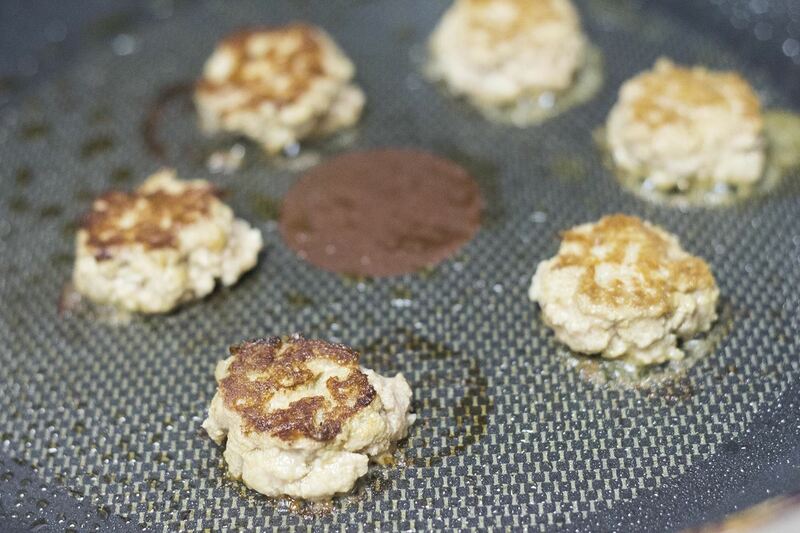 Remove the patties from heat and allow to cool. Add the cheese squares on top of each patty. 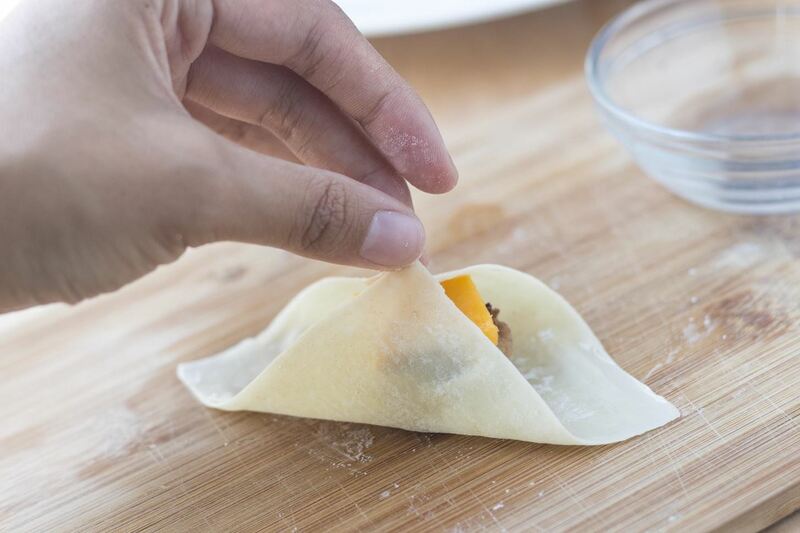 Place the patty in the center of a wonton wrapper. Wet the edges of the wrapper with water. Join two of the corners together and pinch with your thumb and forefinger. 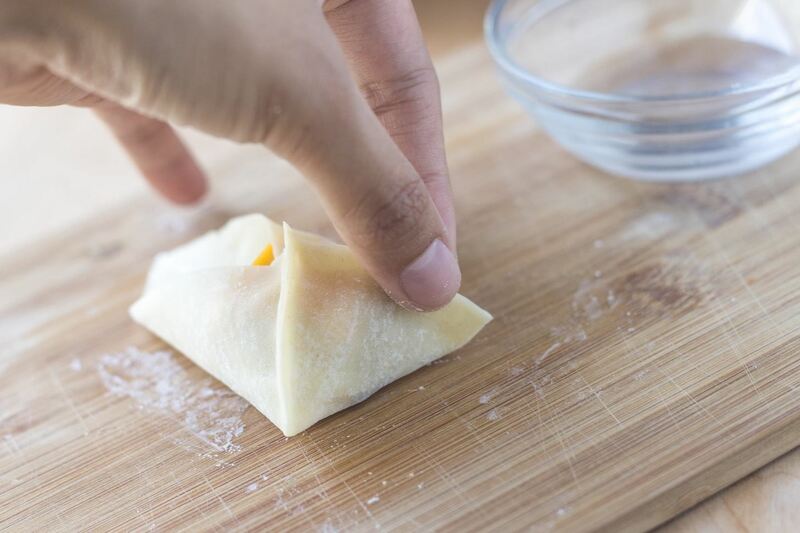 Pull the third corner into the center, then pinch along the sides to seal the dumpling. Do the same for the last corner. Steam the dumplings for 2-3 minutes. 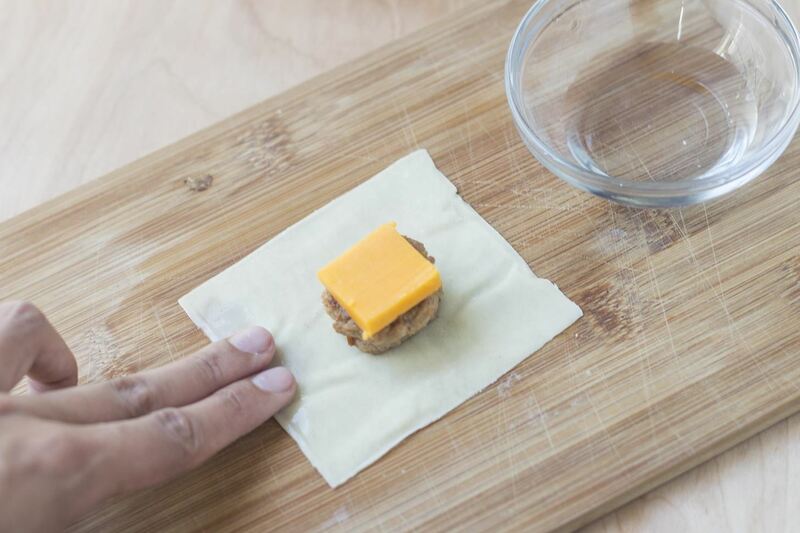 When the dumplings are finished, the cheese will be visibly melted through the wrapper. Remove them from your steamer and onto a plate, then serve immediately with ketchup. These dumplings were delicious—it felt sacrilegious to dunk them into ketchup, but the flavors still meshed well together. 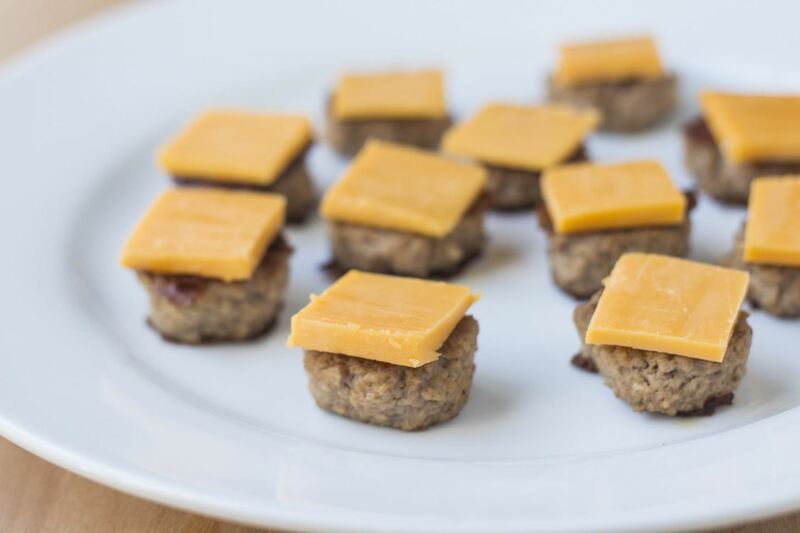 Definitely an interesting appetizer to surprise and impress your friends with (if they're adventurous eaters, that is). After the success of the cheeseburger dumplings, I wanted to try something a little more daring. 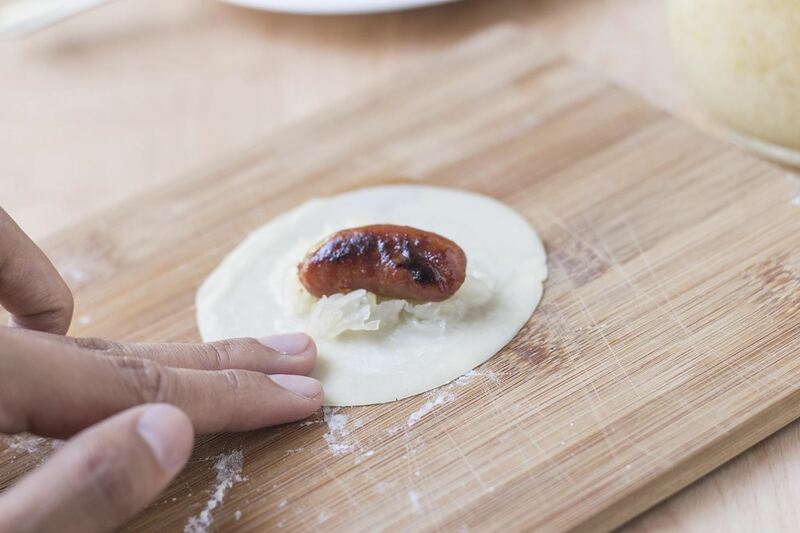 Using miniature sausage seemed like an interesting idea because of its rich, smoky flavor—and adding sauerkraut to temper the saltiness of the sausage seemed like a good idea. I used round wrappers instead of square ones due to the shape of the sausage itself. 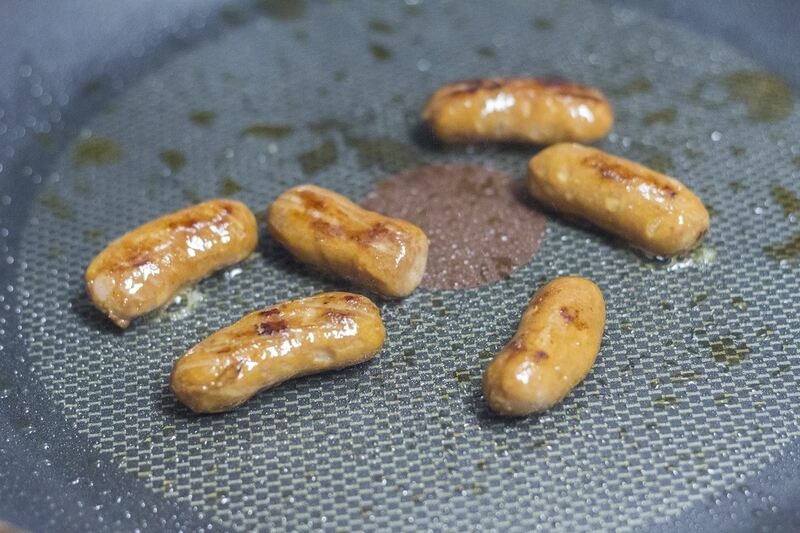 Fry the sausage over medium-high heat with a frying pan and a small amount of oil. Cook until the sausage is seared on all sides, about 2-3 minutes. Remove the sausage from heat and allow it to cool. Place ½ Tbsp. 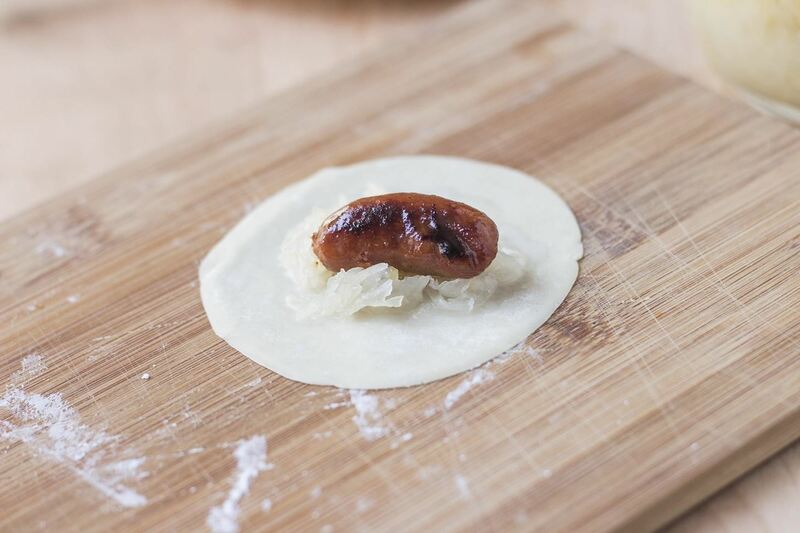 of sauerkraut onto the center of the dumpling wrapper, then place the sausage on top of the bed of sauerkraut. Wet the edges of the dumpling wrapper with water. 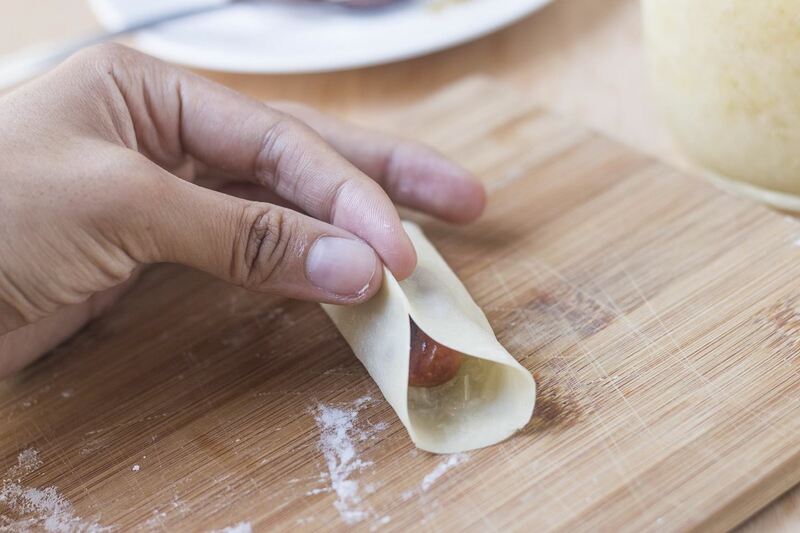 Pinch two of the sides of the dumpling together along the length of the sausage to seal the dumpling. Optional: If you'd like to create the decorative folds that I use in my dumplings instead of the simple seal, the video below demonstrates the technique (fast-forward to the 0:47 mark). 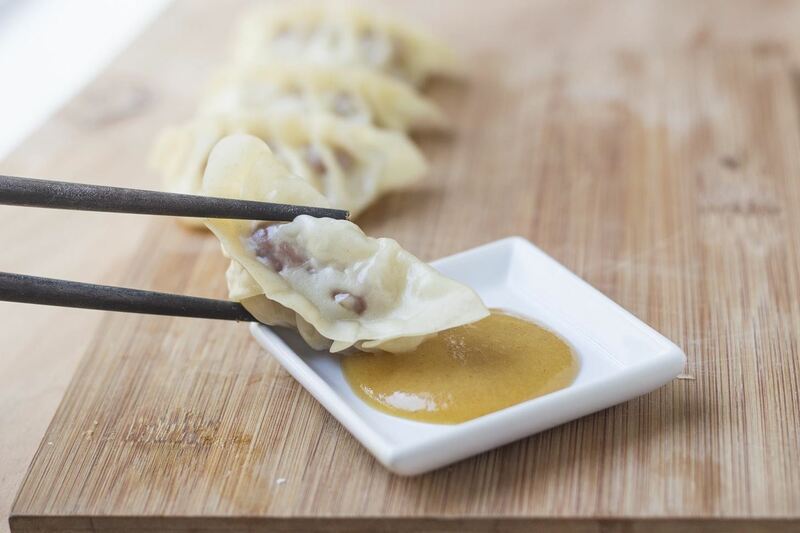 Plate the dumplings and serve with sweet mustard. The seared sides of the sausage gave these dumplings a super smoky flavor that I loved, and the sauerkraut cut through the saltiness well. 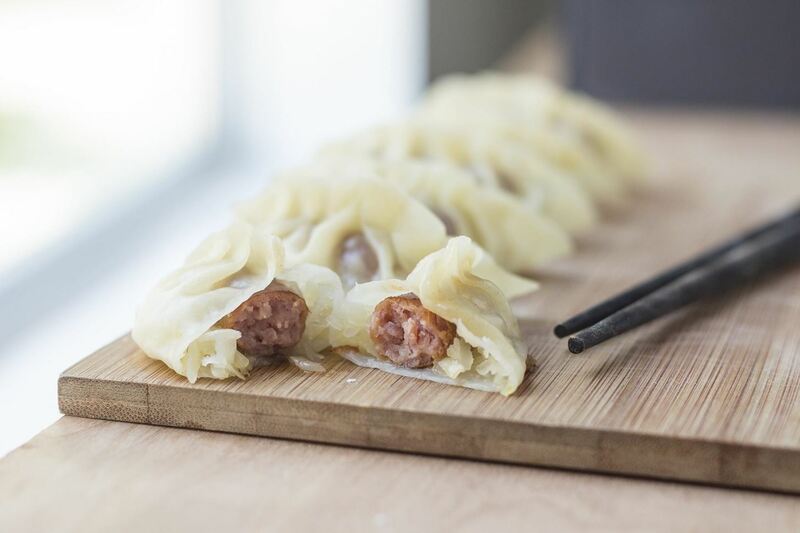 The chewiness of the sausage reminded me of shumai, a popular Cantonese dim sum. This dumpling is definitely more nuanced than the cheeseburger version, but just as delicious. 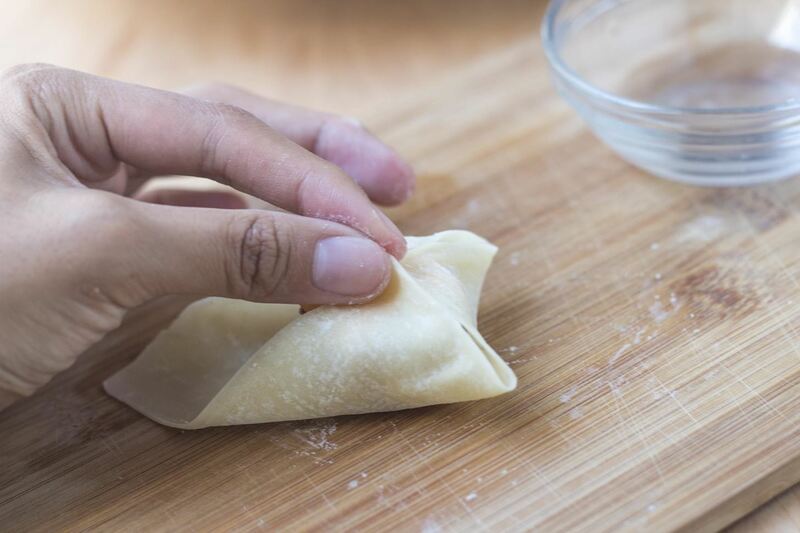 Dumpling fillings are only limited by the imagination—that's why they have remained a staple in Asian cuisine for so long. Share your ideas for creative fillings with us in the comments below. 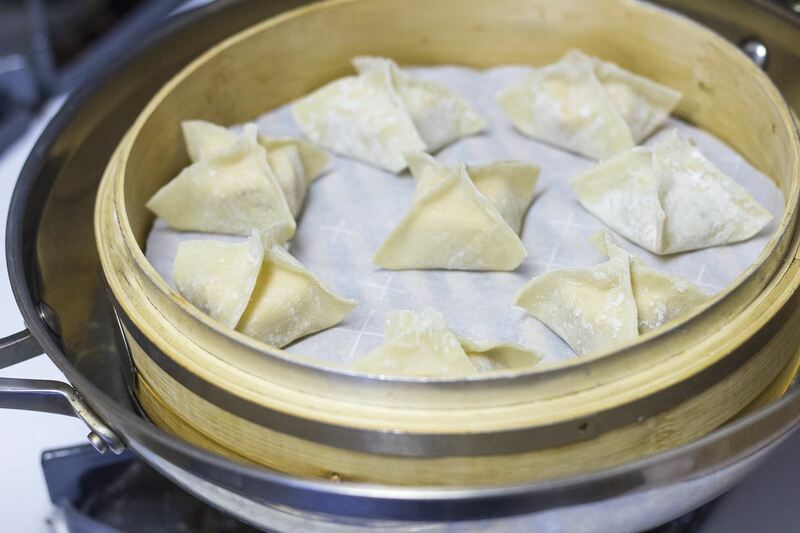 If they're intriguing, you may see another article on fusion dumplings sooner rather than later!